It's always special when a group of amazing events combine within a short period and create a spectacle. This weekend's sport was one of those times. From the two best footballers on the planet staking their claim for the attribution as number one, to one of the most dominant female athletes in history falling short, and the apparent retirement of an undefeated great, September 12 and 13 were two dates to remember. The year of 2015 would have been all Serena. It probably still is, but at the hands of unseeded Roberta Vinci pulled off one of the biggest upsets in the history of the US Open. As the American headed for the exit following her 6-2, 4-6, 4-6 defeat, that's all we would know about her emotion. Journalists were instructed to not ask her any questions about how she felt which, perhaps, said it all. Even though she had held all four grand slam championships at one point, this was her opportunity to take all the titles from Wimbledon, Roland Garros, Melbourne Park and Flushing Meadows in a single calendar year. It wasn't meant to be, for this year round at least though—the world saw, she was a shadow of her best which we had seen countless times on prior occasions. Roberta Vinci's name has been etched into history, she brought an end to what seemed the unstoppable Serena roll. On Williams' part, it was just two wins away from truly solidifying her name as the greatest women's tennis player. Little did we know that after replacing Muhamed Bešić just eight minutes in to Everton's meeting with Chelsea at Goodison Park, Steven Naismith would become the first man to score a hat-trick against a Jose Mourinho side, plunging the Blues into disarray at the same instance. The slump of which the Londoners have began their title defence would continue in Saturday's early Premier League kick-off, as the Scotsman first headed in off a cross, before a long range effort beat Begovic. While Nemanja Matic's wonder goal brought hope back, all would fade when some elegant football set up the completion of the hat-trick. Old Trafford was the setting as Australia and England concluded their series with a fifth, final and deciding ODI—but it would be the Aussies who managed to trounce their way past their rivals in devastating fashion. England's headache would grow from the start when they slumped to 22-3, before captain Eoin Morgan was unable to continue with batting after being hit on the head from a bouncer by Starc. By 33 overs, they were bowled out for just 138. Avenging their defeat in the Ashes, Finch's 70 was the cornerstone of the chase as Australia reached the total in just over 24 overs. Cristiano Ronaldo became Real Madrid's all-time La Liga leading goalscorer in some fashion on Saturday, scoring five of the best as Real Madrid ripped apart Espanyol with a 6-0 win away. Slotting it past the keeper early on, firing it into the top corner from the spot and latching on to Bale's cross to get a hat-trick inside 20 minutes, the Portugese star was far from finished, stroking it in from long range after the hour mark following another Bale assist, and then he capped it off when he ran on to a ball mid-range from the box and fired it away. Too easy. With the Champions League set to return on the week, he's definitely found the feet that can help him eclipse Messi for the most goals in the tournament. A truly special talent. Barcelona laid down an early marker in the title race as they ousted fellow contenders Atletico Madrid thanks to Lionel Messi's winner as the Argentine came off the bench. Fernando Torres continued his remarkable goalscoring form against the Blaugrana when he was put through on goal and made use of the one-on-one situation with a clever dispatch. A stunning free-kick from Neymar, however, meant the lead wouldn't last long, setting it up for Messi—coming off the bench having missed Friday's training due to the birth of his second son—who in typical fashion, put it away elegantly after Suarez set him up. 287 La Liga goals for Messi, 230 for Ronaldo. This is a magnificent era. You wouldn't have been blamed for tuning out after watching the first half at Old Trafford. Manchester United and Liverpool emulated anything but a typical derby day game between the two and it was a dull goalless finish after 45 minutes. But when Brendan Rodgers and Louis van Gaal's men headed out of the tunnels for the second half, they certainly came to play. Daley Blind fired away into the far corner with a swift set-piece from Juan Mata to open the scoring, before Ander Herrera scored a fantastic penalty after being brought down in the box by Joe Gomez. Right up until the late stages, the Reds failed to offer anything with a true threat going forward, but when the ball flew high in the area, one Christian Benteke was there to meet it with a scintillating overhead kick that may go down as a Premier League classic. Liverpool wouldn't have the wind behind their sails for too long, though, as Anthony Martial—Manchester United's new £36 million youngster—dazzled past two defenders to cap of an extraordinary solo goal by slotting it to the far post and sending the Stretford End into euphoria. British Heavyweight boxing prospect Anthony Joshua scored his 14th knockout victory in as many career fights to set up a showdown with Dillian Whyte after his quickest win, pummelling Gary Cornish inside two minutes. The Olympic Gold Medallist continues to fly, will Dillian Whyte suffer the same fate? 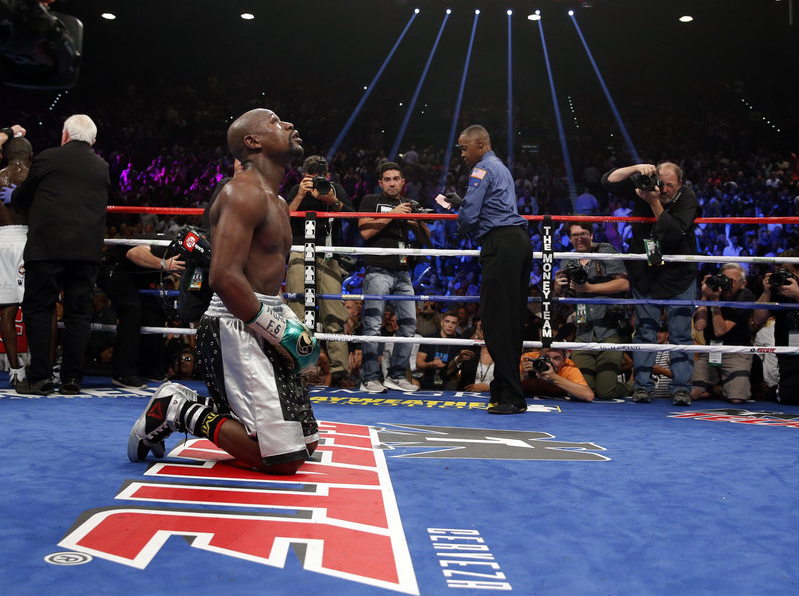 Kneeling to the ground in the centre of the ring and looking up to the rafters, Floyd Mayweather bowed out of boxing. Having vowed this was his last fight, a comfortable points victory over Andre Berto would mean that "Money" equalled Rocky Marciano's record of 49 wins and no losses. Dominating for the unanimous decision win, and finishing with a late flurry to complete his farewell, Floyd Mayweather appeared to be doing what few can do, leave on his own terms, and leave with all his "faculties" intact. The discussion of him as the greatest boxer of all time will go on, perhaps we won't know what's gone, until it's gone. But is he really gone? Or will he be coming back for the big number 50? Jack Grealish found the net to give Aston Villa the lead at half-time, when the ball came out to the edge of the area for him to curl away after some pinball in the area. Carles Gil then doubled the Villains lead with a sublime strike when the ball was cut-back to really dampen spirits at the King Power. Ritchie De Laet headed in off a corner kick and with the aid of goalline technology the hosts had brought one back, as it clipped off the inside of the bar and was headed out, although crossing the line. In stunning fashion, Riyad Mahrez, continuing his excellent form, slipped it through to Jamie Vardy—who's earlier penalty appeal was denied—and the Englishman found the goal. To complete the comeback, Nathan Dyer made his dream debut with a brave header from Mahrez's lofted ball, and the Foxes run of form continued, they have won 10 of 14 Premier League games since April—what a roll. Following an all-Italian US Open, Flavia Pennetta was the woman to become only the second Italian female to win a tennis major. Winning 7-6 (7-4), 6-2, she announced her retirement for the end of the year, and it was quite a fitting way to go out—winning at Flushing Meadows. It was another one of those amazing moments, finally she had achieved a grand-slam and that would be a great way to retire on. Tony Romo and the Dallas Cowboys capitalised on a New York Giants' error to seal a dramatic victory on a blockbuster Sunday night NFL meeting. Instead of running the ball, New York opted to pass, and it would all go wrong from there—Manning was forced to throw it to the back of the end zone to stop the clock. While they extended their lead with the field goal, the Cowboys had plenty of time to make a drive. They did it emphatically, finishing it off as Tony Romo threw a touchdown pass to Jason Witten. Elsewhere in the league, the Seattle Seahawks stumbled out to start their season, dropping to the St Louis Rams. With some errors in the kicks, the Washington side knew they had work to do following the loss. Meanwhile, the Titans dismantled the Buccaneers with a 42-14 win, the Broncos doused the Ravens and the Packers calmed the Bears. Novak Djokovic claimed his tenth Grand Slam title as he defeated Roger Federer in a thriller to conclude the US Open. After four thrilling sets, the Serb won 6-4, 5-7, 6-4, 6-4 at the Arthur Ashe Stadium. His win involved breaing the Swiss six times and eclipsed his coach Boris Becker's record at the event too. 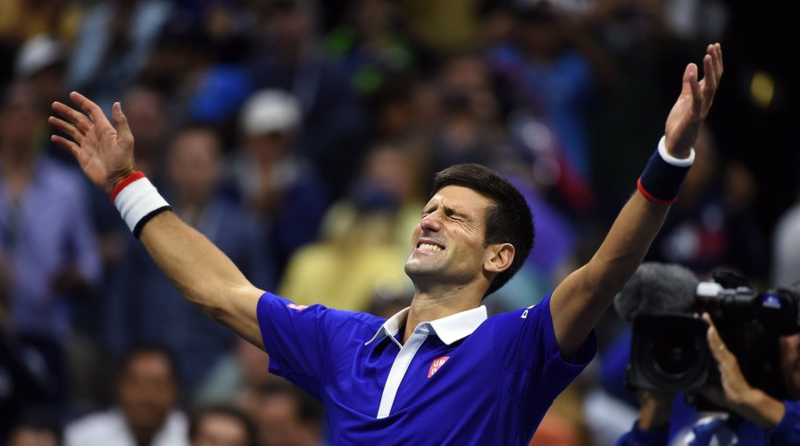 Yet again, Djokovic prevails—he's more than a worthy world number one. Reviewing the best of sport in the weekend of 12-13 September 2015.